Pic of the Day: The Final Countdown | Trace B. 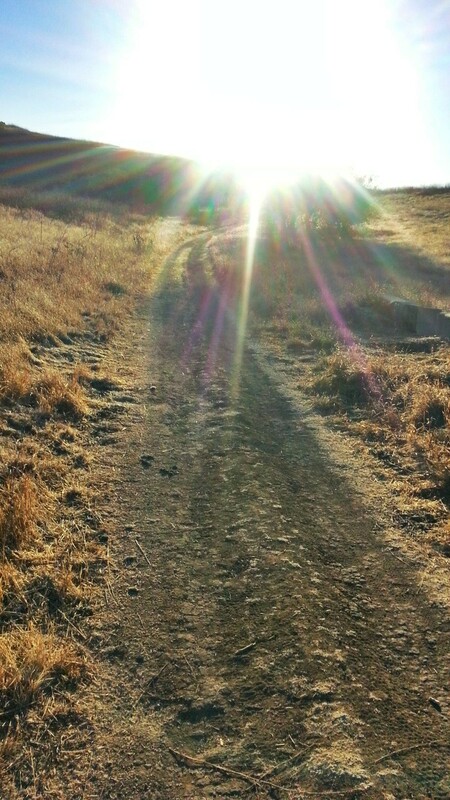 This morning’s run: Carbon Canyon Park (North Ridge Trail). In only 32 days (1 year later), I will find myself back at THE place that sent me away, perhaps defeated for that day, but with a renewed spirit and soon-to-be best friend. Going back will be an important milestone – a second chance to finish what I started, and of course, to celebrate one year with someone I absolutely adore and admire. Having said this, it is ALL focus from here on out until race day. 30-day plank and ab challenge in full effect, daily foam rolling, early morning running, a full night’s sleep (gasp), and finally, putting together the perfect Halloween costume for the contest. I want this race so badly and I am willing to be on my best behavior until then. I just know it will be worth it. This entry was posted on September 25, 2013 by tracebee. It was filed under Pic of the Day and was tagged with Javelina Jundred. I have always said that getting to the finish line will take every single ounce of energy and and determination. On this day, I truly felt I could barely get through the finish around mile 20. It just wasn’t my day and I wasn’t about to spend 100 miles out there suffering, just to inflict more pain and potential injuries. Live to run another race. Thanks J!